Burns are among the most painful and debilitating injuries a New York or New Jersey construction worker can suffer. Some burn injuries even result in death. Construction site fires and explosions are not the only causes of burns. Electricity, chemicals, steam, overheated equipment and more can lead to serious burn injuries. Property owners, developers, contractors and others must enforce strict safety measures to avoid burn accidents. If they fall short and you get hurt, you could be entitled to money for your burn injuries. Let the Ginarte law firm review your claim for free. We can advise you about your rights as a burn victim and what steps you should take. Contact the construction burn injury lawyers at the Ginarte firm today. Call 1-888-GINARTE now. You can also fill out our online contact form. We are among the biggest construction accident law firms in the NY / NJ metro area. 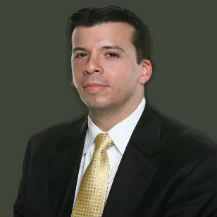 The Ginarte law firm’s attorneys have more than 150 years of combined experience. We are ready to put our resources and experience to work for you. Nearly 1,000 construction workers suffer heat-related burns every year, and hundreds more get burned by electricity or chemicals, according to the Bureau of Labor Statistics (BLS). BLS reports that construction site fires claim the lives of nearly 40 people during an average year. There are many dangerous things at a construction site that can cause fires or burn injuries. Flammable materials are used in the construction process, and combustible liquids are used as fuel for construction equipment. Sparks from grinding or flames from welding can ignite a fire. Gas leaks are another threat. Electricity is a leading cause of severe burn injuries at NY / NJ construction sites. OSHA says that electrical burns are among the most serious injuries workers face. High voltage can cause entry and exit burn wounds, as well as serious internal injuries. Arc or flash burns are another hazard. Fire isn’t even necessary for a construction burn injury. Many of the chemicals used in building can burn skin on contact. Lungs, eyes and other sensitive parts of the body are also prone to burns from chemicals. Steam and hot water can cause scalding burns, as can hot tar, hot asphalt and other waterproofing materials used in roofing. Many burn victims face a lifetime of surgeries and therapy to cope with their injuries, which can include disfigurement, loss of limb and loss of vision. Other victims die from burns. Burn injuries take a major toll on construction workers and their families. Not only are there bills to pay, but many victims also lose pay because they can’t work. BLS reports that electrical burns require a median of 10 days out of work. Many injured people will be out for much longer, and some will never return. You might be able to recover some of your losses through workers’ comp or other programs. However, workers’ comp almost always pays just a small portion of your damages. It’s important to discuss your claim with the Ginarte law firm. Our burn injury lawyers can explain ways that you could recover more of your losses from third parties, such as contractors, site developers and property owners. Don’t wait to talk to a construction accident attorney. Call 1-888-GINARTE now. If you prefer, fill out our online contact form. Our NY / NJ construction burn injury lawyers will review your claim for free. We collect fees only if you win your case. Find out today how we can help you make a better recovery from your burn injuries.